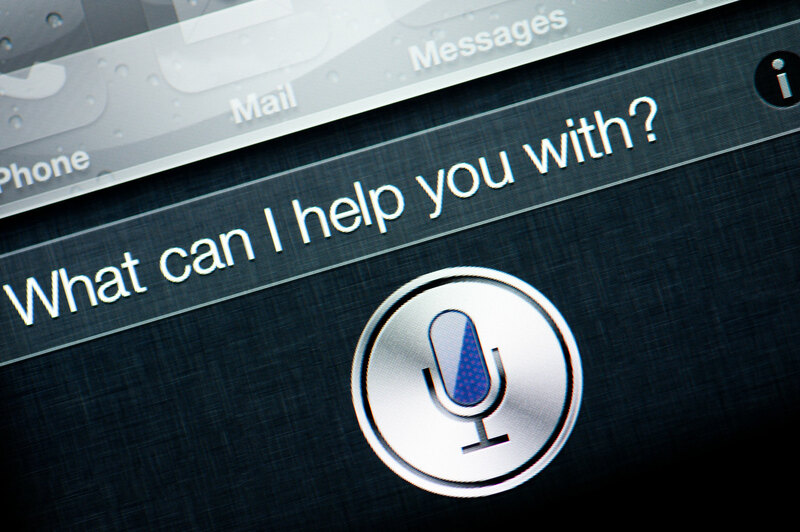 Most of us know what smart technology is but what about assistive technology? If you are looking for more independence and quality of life at home for you or someone you know, read on. We’re hearing a lot in the news about the damage new tech is doing to us. We’re losing our ability to connect with each other in person with our addiction to smart phones and social media, our kids are suffering with rocketing mental illness issues and its being put down to damaging content online and the breakdown of the community. We’re all starting to wonder if life would have been better without all this emerging tech. Yes this is all a serious concern but we should perhaps remind ourselves that there is some good that has come out of this technology revolution. Our area of expertise is smart tech and home automation installation. We see the benefits of this to our clients every day and it just keeps on improving and amazing us. But we have started to see now how this very cool home tech can go further than just making lives easier and wowing friends. We are now seeing how it has the ability to make things possible for the differently abled and elderly – it has the potential to support people’s wellbeing and independence and that’s got to be a good thing. As the name suggests, in the simplest terms, it means any item, device, equipment or software that can help you work around your everyday life challenges. Assistive technology helps people to live independently – from mobility to communication to security and beyond. Assistive technology can provide physical and psychological support to meet ever-growing day-to-day challenges and enhance learning, working, independence, and wellbeing. It increases, maintains, reinforces, and improves functional capabilities of individuals. Looking to learn more about sophisticated high-tech home devices? Keep reading. Gone are the days when home automation was just a mere concept. Now, it has become a reality. So here are some examples of the home tech that we have installed that have assisted people and enhanced their independence. With lighting control, you can conveniently fine tune the type of ambience you want in your home. On top of that, if you have mobility limitations, voice controlled lighting control means you can manage the theme and lightning from anywhere in the house. If you are unable to use voice activation or you have memory challenges you can have the scene preset to your routine, to go on and off, dimmed or changed colour at preset times. Another option is controlling it all from an app on your phone. 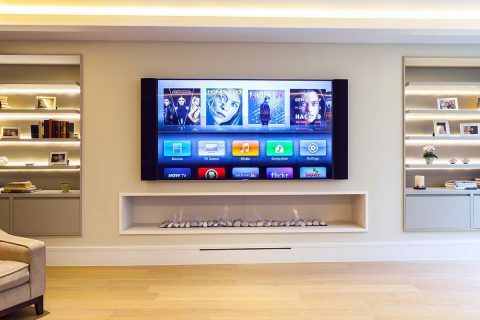 This is a wonderful element of home automation that we love to pair up with lighting control. You really can set the scene at the push of a button or by calling out a command to your virtual assistant, closing the curtains or blinds and setting the lighting scene with very little effort. Clearly, this technology can also be an assistive technology too and as with lighting, can be preset to a routine to suit the user’s lifestyle. 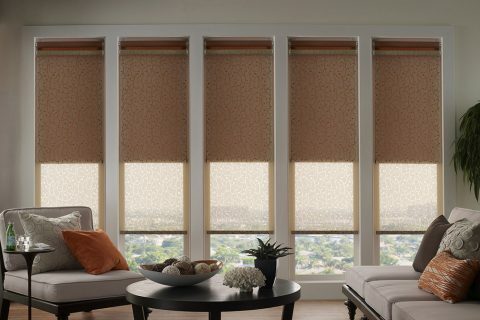 This could make a real difference if tasks like getting up to draw all the curtains or blinds are difficult or impossible. We all want to enhance our spare time with amazing home entertainment and when all this is voice activated or controlled from your phone there’s no problem if you find it a struggle making it work smoothly due to a limitation or disability. You could have TVs and sound systems in as many rooms as you desire. How do you pull all of this together? The best thing about Smart Audio and Audio-Visual Systems is that they can all be connected to each other. Instead of the potential frustration and difficulty caused by multiple remotes, you will have access to all these systems through smart technology. You can manage the cooling, heating, and climate control in your home using some very cool new tech. And as with the other tech we’ve mentioned it’s pretty clear how this automated way on managing your home climate can assist day to day living. It also means that your family or carer can keep an eye on it for you remotely and you can use the voice activation or app to adjust the temperature if you feel uncomfortable. This has the potential to save you a lot of time and stress. We all get fed up when the internet slows things down and if it dies completely it can cause real problems. 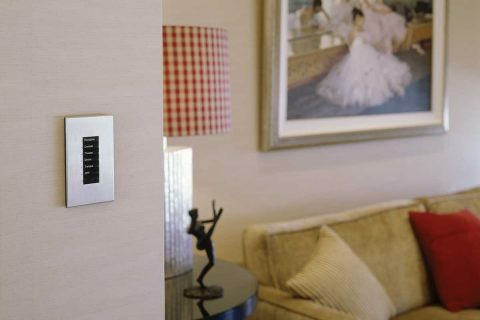 If you really rely on assistive technology to do every day tasks then its crucial that your smart tech and home automation works all the time when you need it to. Home networking is a way of making sure all of your tech is talking to each other in the most efficient and reliable way. Security can be a real concern for some of us, particularly if we are less able to defend ourselves. Sad but true. This is where smart tech really can give more peace of mind to people who are differently abled or the elderly, another example of where smart tech becomes assistive. One new and exciting development is face recognition access control. Friends and family that you have given access can look into the camera and the door unlocks. Anyone else can only be given access if you allow from your app. Alternatively the control can be given remotely to friends, family or carers – basically you can set the level of support that is right for you. There is a valid concern that some of this technology may mean that people who may have previously have had a visit from a friend or family member would now not need to as the technology is replacing the assistance they once provided. This is not the case in our experience. We have found that smart tech has meant more human contact rather than less. For example, with the Amazon Echo there is an intercom feature called ‘Drop In’ where you can easily chat to someone else through your Echo. Easy to casually ‘check in’ when you’re concerned about someone or if you just fancy a chat. There is also many options for easy video calls, a great way to combat loneliness and isolation. We see it every day – a high-tech environment looks good and as users of this tech in our own homes, we would go as far as saying, it feels good. Using cleverly installed smart tech can improve the overall atmosphere and quality of life and although this is just a small part of the whole story when it comes to assistive technology, we think its definitely important. It improves the overall aesthetic appeal of your home and gives you a sense of pride. In today’s fast-paced world, technology is evolving at an unprecedented rate, and we can confirm first-hand how interest in smart devices and automated homes has significantly increased. When smart technology becomes assistive technology, it has the potential to be game-changing, bringing more independence and quality of life to people who might not always necessarily want to rely on others to do every day tasks. So let’s remember to mention this the next time we get into a debate with someone about the horrors of new tech: it’s not all bad! 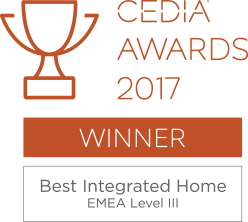 If you are interested in speaking to industry leaders in home automation and lighting control installation, please email Christian on christian@clearlyautomated.co.uk for more information.